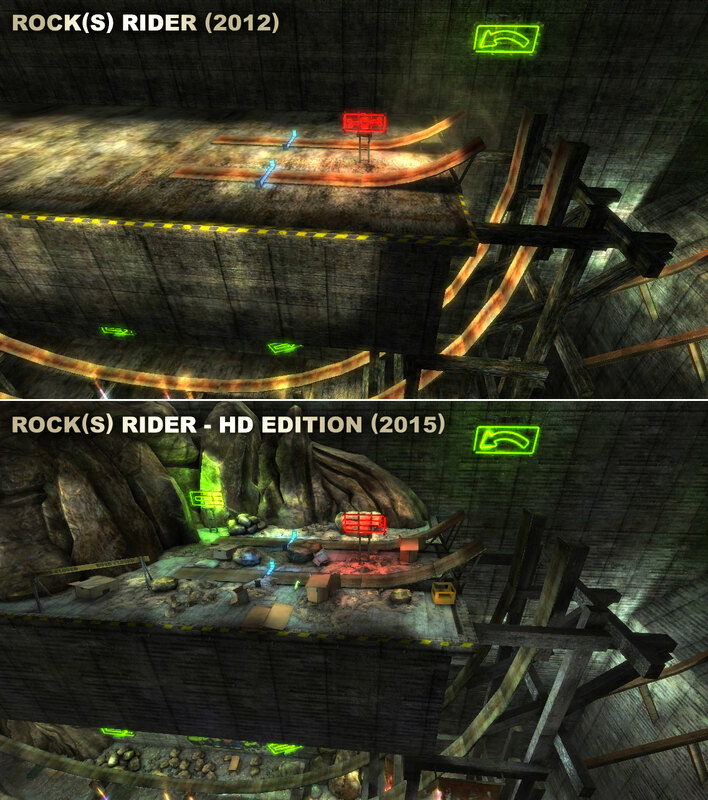 The old Rock(s) Rider game was released in May 2012, when the newest device was iPhone 4s with its limits in performance. Therefore we are able to bring the quality of the game as we imagine it should really look like until now, when new devices (as iPhone 6) enable it. The older devices are not able to manage to run the new game because of its requirements for the performance of devices. 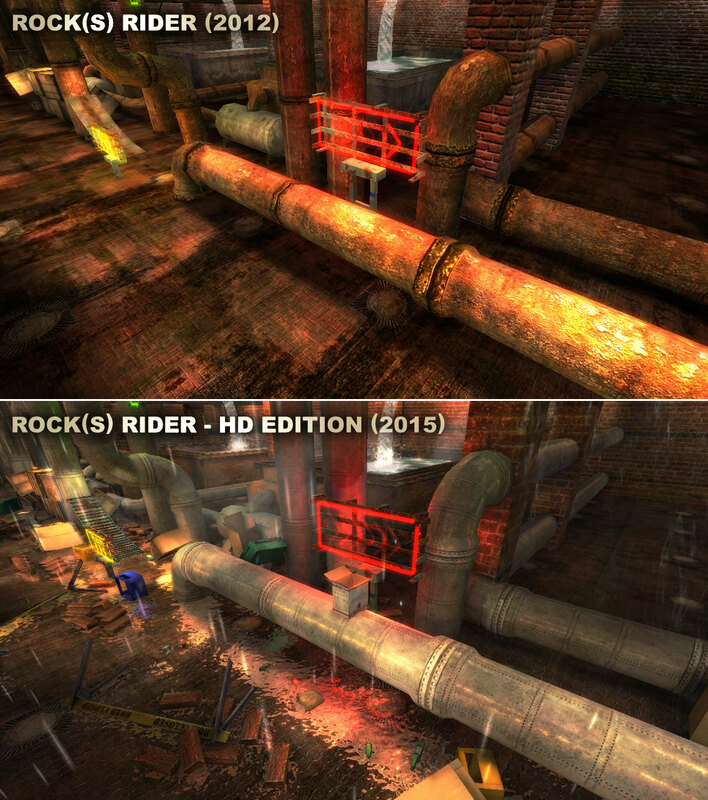 Thus we were able to add much more detailed 3D models, brand new shaders and textures with double resolution just now, also as Ragdoll Physics and more sophisticated physics of the motorcycle than before. You will feel the big difference in physics of the motorcycle after a few seconds of your gameplay. Many new effects have been added and more than 80,000 other objects have been placed to the all environments. 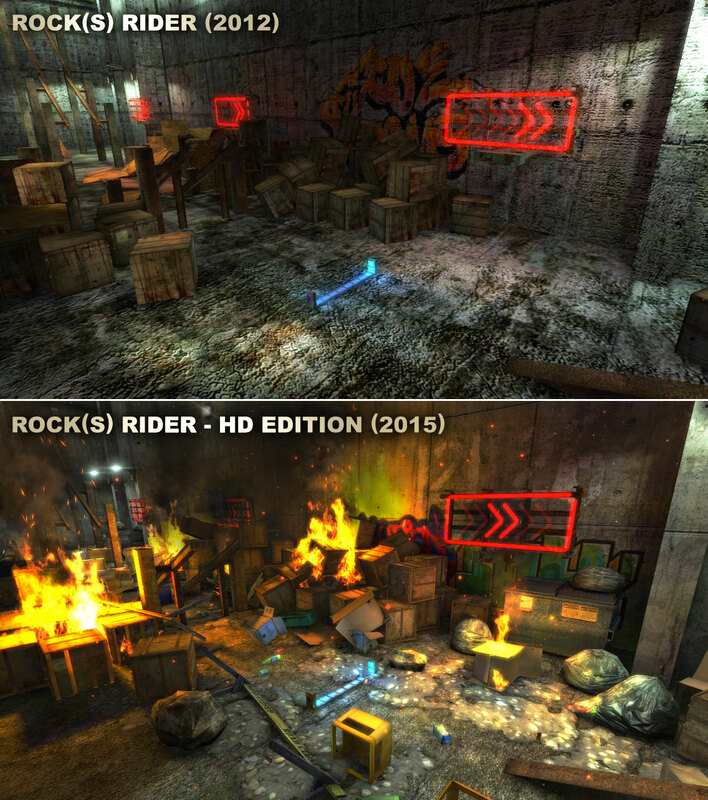 Most of the added objects are dynamic and the rider flings them while riding the race. The added effects, e.g. hunting fiery flames activated by riding out the laser gates and setting fire to the environments or possibility to slow down the reality by Slow Motion Zones, are not able to run smoothly on the older devices. Now the game is primarily designed for players who want to profit from possibilities of high performance of their newest devices. For example, the game runs on iPhone 6 Plus in full HD resolution at 60 fps and it brings console graphics. 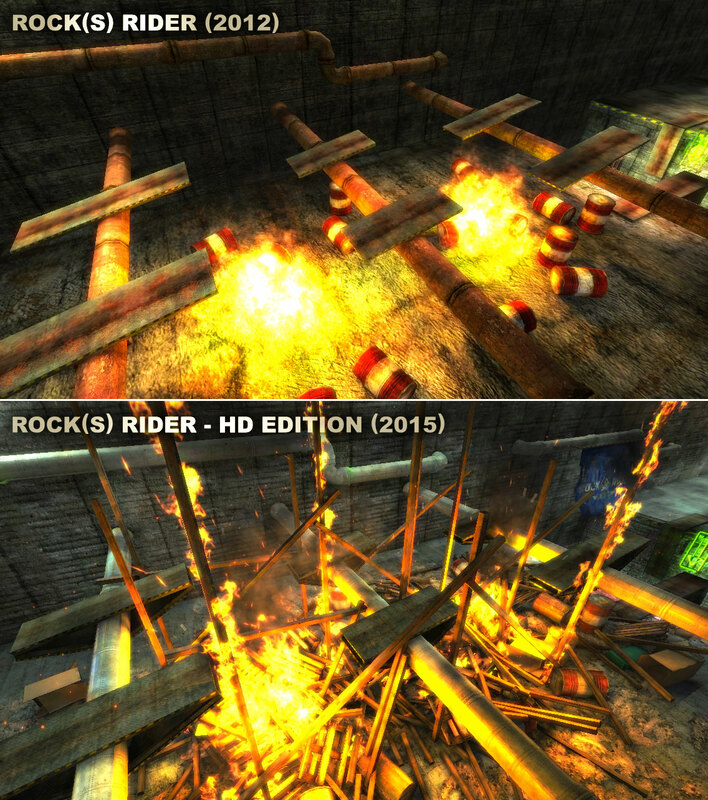 Check out the screenshots which illustrate the differences between the old game and the new HD edition!